Kidderminster Repeater Group is a group of Radio Communication enthusiasts who have an interest in the Amateur Radio repeater network and associated technologies. Such interests may range from actively building and maintaining repeaters, through using repeaters, listening to repeaters, interest in repeater technologies, to simply supporting repeaters financially for the benefit of all. Some of our members don’t use repeaters at all, and mainly participate for the social side. The one thing we all have in common is a passion for radio communications! The group was originally formed to construct and maintain a voice-over-IP repeater in Kidderminster, an ancient market town approximately 17Km south west of the city of Birmingham, England, at the confluence of the Severn and Stour valleys. Over time, the group morphed into something more akin to a conventional “radio club”, attracting members from all over the repeater’s coverage area, even some from overseas who call in via Echolink. We later added a repeater in Stourbridge, but voted to retain the group’s original name. Our repeaters are maintained via members’ subscriptions and donations, and our group is strictly not for profit. We hold monthly meetings, all of which except the AGM are open to all, whether members or not. We welcome visitors, and no-one is pressurised to join. We own an XGA projector, which we use for various presentations at club meetings. Some of our past presentations have included such diverse topics as Duplexers, Radio Programming Software, Echolink, Digital Mobile Radio, PSK31, Avo-meters, Software Defined Radio, Military Radio Systems, The GB3KD Repeater, VHF Construction Techniques, D-Star, Contesting, BC221 Wavemeters, RTL-SDR and many more. We also hold “Bring and Tell” nights, Ham Radio Quiz nights, surplus equipment sales and test / measurement sessions. 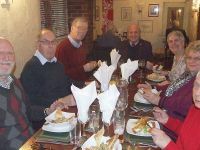 On the social side we have good old “natter nights”, annual meals, and outdoor “pub grub” meetings in the summer.The group has even participated in several “National Field Day” contests, setting up portable stations on hilltops, and using the club’s callsign M0KRG. 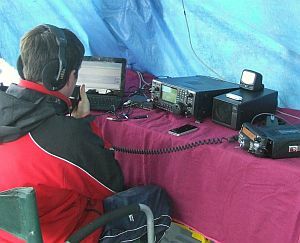 Kidderminster Repeater Group is affiliated to the Radio Society of Great Britain (RSGB). Unfortunately we cannot offer licence training courses, but our members have a vast wealth of knowledge and practical experience, which they are more than willing to share. We also have presences on Twitter and Facebook where we hope to keep you informed of the latest club news and repeater status information.